I think I'm back. Not really in any substantial sense, yet, but enough that my daily routine has very much begun to take on its old, familiar, comfortable rhythm of wake up, tag a summit, sit at a desk trapped behind a computer for a few hours (thesis...), read a book, fall asleep, do it again. It is rewarding. And I've missed it. Mostly the tagging-a-summit part. It has been nearly 10 weeks now since I tripped and inexplicably broke my fibula, so I went for my final post-injury check-up x-rays on Monday and all was good. The cap of bone that my hamstring yanked off the fibular head has fully re-docked and fused itself back into the correct spot, and there is little to no soreness associated with the injury anymore, aside from some faint murmurings upon aggressive manipulation with the fingers. I already tossed the crutches over three weeks ago and during the subsequent time have pursued a fairly consistent and progressively rigorous schedule of hiking to stimulate the final bit of bone growth and to begin reconditioning my legs to the demands of bipedal mountain travel. Over the past couple weeks my outings have deliberately sought the steepest lines that Green Mountain has to offer. Hiking on flat terrain is, for me, not very interesting, so I've been hitting the routes that--even if I were 100% fit--would require some hiking. It's been a good reminder that A) it is very possible to completely destroy oneself on steep terrain without taking a single running step, and B) hiking hard uphill is a specialized skill that, once acquired, is an excellent thing to have in one's quiver as a mountain runner, especially over the 100mi distance. A young Kilian marches to the 13,500' summit of Mt. 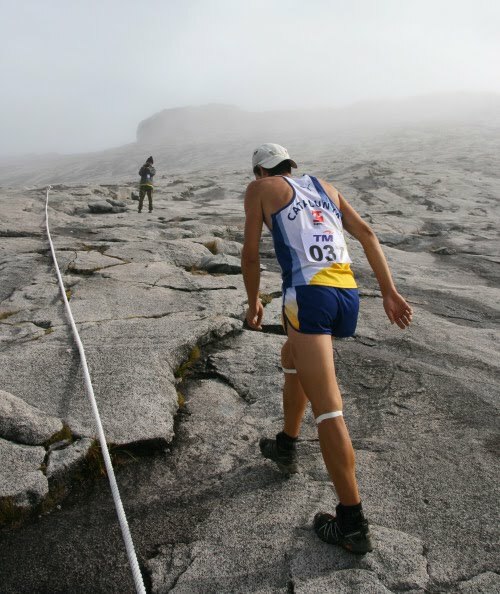 Kinabalu during the 2007 Climbathon in Malaysia. 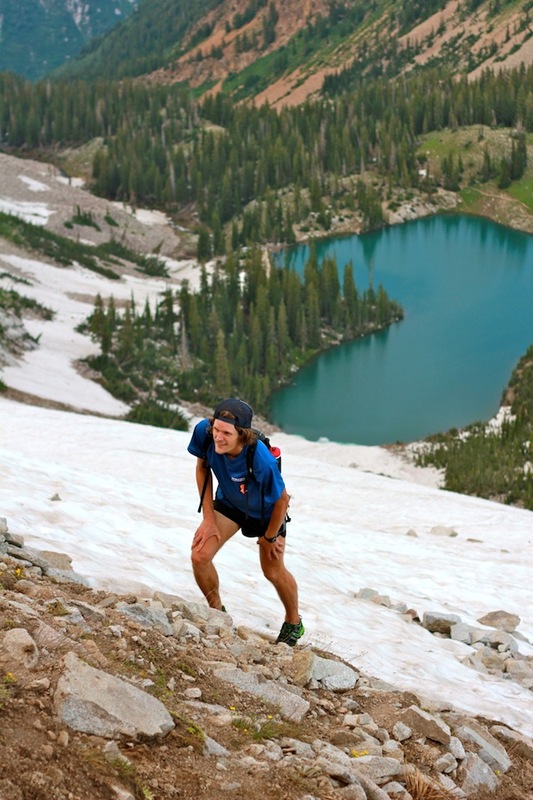 This 21k event ascends 7600' in only 5.4 miles! All of this has been even more brought into focus by the recent reports coming out of Europe regarding my compatriots' experiences at this past weekend's Sierre-Zinal mountain race in Switzerland. Before moving to Boulder two years ago, I ran everything, period. 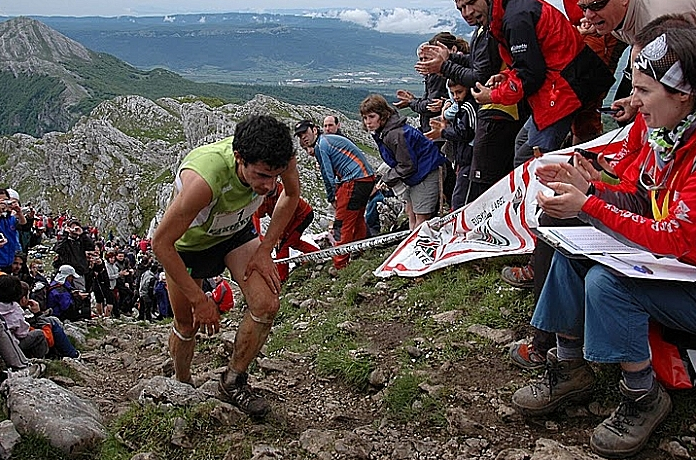 In 2006, after I had run my first 100 miler at Leadville, a friend asked me if I ever wanted to do Hardrock. I remember replying derisively, "You mean 'HardWALK'? No, I like to run." Obviously, my thinking has changed. Since taking up residence in Boulder--where the trails are far more technical and steep than anything in Colorado Springs (barring the Incline)--I still run every step on the established routes, but like my mindset had to first shift to accept the merit of even training on such paths as Amphitheater and Fern Canyon (each offer stretches in the 40% range), in the past year or so my mindset has again shifted to not only accept but embrace the merits of grunting up truly steep and unrunnable terrain in training. 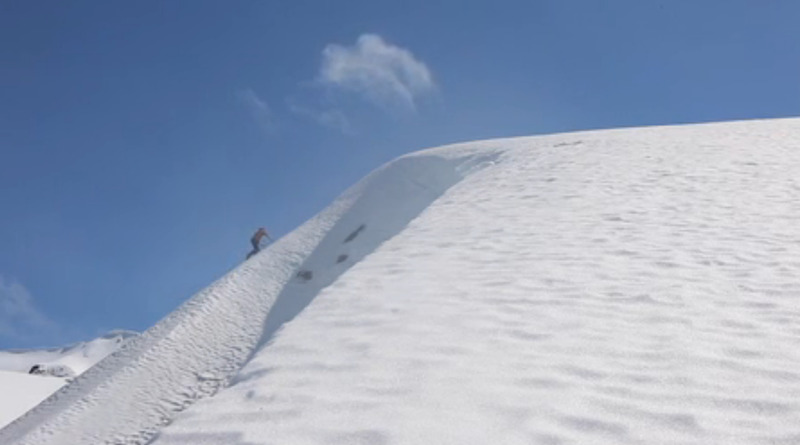 Not only is there a compelling aesthetic about taking the most direct line to a summit, but the cardiovascular and muscular effort can be vicious whilst imparting virtually zero pounding on the legs. Hence my current training plan. Yep, that's called a trail here in Boulder. Green Mountain summit push from the west. I must credit Geoff (who truly has a penchant for seeking out the steep, unrunnable stuff), Kilian (whose actions convinced me it was acceptable to hike some of the rollers on Cal Street at last year's WS100--we still recorded the fastest split for that section in the history of the race) and Joe (who couldn't care less if he was hiking or running, trail or not, as long as the line is pure and the summit is the goal) for contributing to this mental shift. It will probably be another week or two before I'm consistently running to the summit again, but in the meantime I'll enjoy nearly as much getting there in an ever-so-slightly less dynamic fashion. Geoff reaching a summit in Juneau, AK. 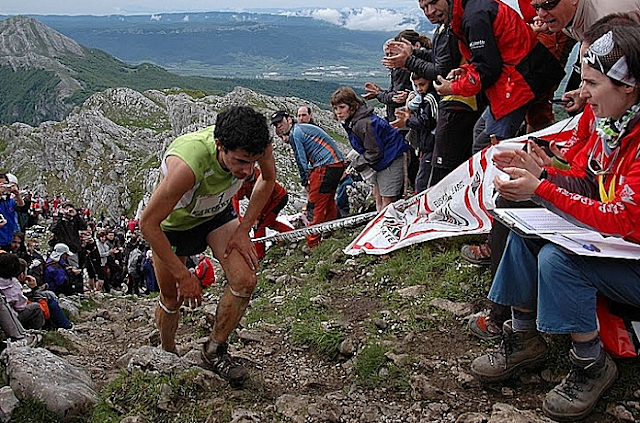 Kilian exhibiting the strain that hiking can incur at the Zegama Marathon in Spain. Frogger channeling the aesthetic of his fell roots, in the Wasatch. Photo: Joe Grant.